Understanding Double Diabetes: What is double diabetes? Double Diabetes simply means what it basically states, when you have double diabetes then you are dealing with both Type 1 and type 2 diabetes. This can be extremely harmful on both you and your body since just having one form of diabetes in unfathomable to many people. Double diabetes happens when a person who has Type 1 diabetes starts to gain weight it then can turn into Type 2 diabetes which can also be helped the same way with others who have been diagnosed with just Type 2 diabetes alone. Through exercise and dieting, you can achieve a miraculous goal as long as you truly want to. Double diabetes can be painful in many areas of your life just as regular diabetes can be. However, there are things that you do to make sure you are less pain then need be. Granted, I don’t think many people going asking for pain, so it is truly better when you find someway of having all the pain a the mildest degree. Sometimes when you have one relative in your family who has had diabetes your chance at either having one type or even both types’ presents you at even a bigger risk. 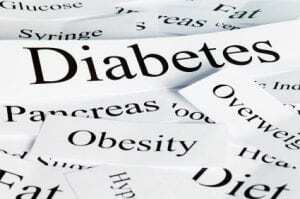 Double diabetes can be treated by diet and exercise but also through medication and weight loss. It has been studied that through weight-loss alone many of those suffering diabetes have found some form or relief. You can also find more information when looking up double diabetes through alterative names like hybrid and mixed diabetes. Double Diabetes has taken on amazing growth since it was first diagnosed and now it may be harder then ever to help those who have both types of diabetes, but that doesn’t mean that doctors will stop looking. It just means doctors have to work harder to diagnose their patients with a type of diabetes when they show signs and symptoms from both types. Doctors can guess all day long about patients having the symptoms of both types of diabetes and then guess which one more resembles the correct type of diabetes they have. The truth is, is even those Type 1 ad Type 2 diabetes are so close they are also very different. One could show signs leading doctors to believe they have Type 1 when in actuality they have both types. It is a truly hard illness to diagnose. It is estimated that over 20 million people in America have diabetes, which is at least seven percent of people in our nation who have this illness. In a study we found out that over six million of those people have diabetes but they don’t know that they do. Forty-one million people living in the U.S. have been diagnosed with pre-diabetes therefore we can not afford to not be tested to make sure we do not have the disease. Because of these astounding numbers many people have started showing up for double diabetes rather then just Type 1 or Type 2. Granted, it is because of those who have been diagnosed with Type 1 and who have gained weight that produces the Double Diabetes. Since Type 2 diabetes can be controlled through diet and exercise then it is safe to say that when we gain weight we are at a higher risk for developing the disease. The first step you can do when showing signs of being a diabetic is to make sure you start a diet plan. Many diet plans are available through-out the internet or food stores. There are even cookbooks devoted to those who have been diagnosed with diabetes. Diet and exercise is number one key for anyone who has diabetes, whether it’s Type 1, Type 2 or double diabetes.